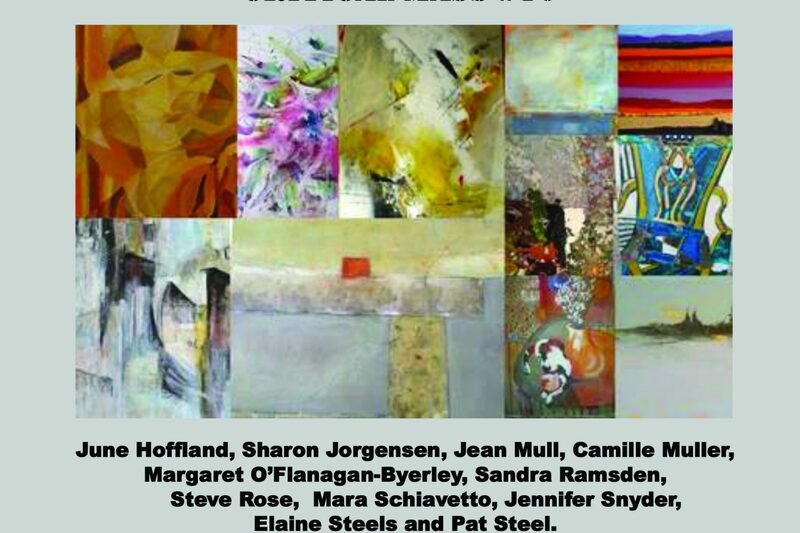 “Critical Mass” is the name of a group of friends, artists, mentors and our instructor, artist Steve Rose. We all met in a class at Neilson Park Creative Center fondly called “The Monday Morning Critique Group” led by instructor Steve Rose. In that class, each artist presents a piece of work and the others in the group “critique” it with Steve’s guidance. The class has taught us how to look carefully at paintings and to offer suggestions for improvements with encouragement and consideration of the artists’ feelings about their work. 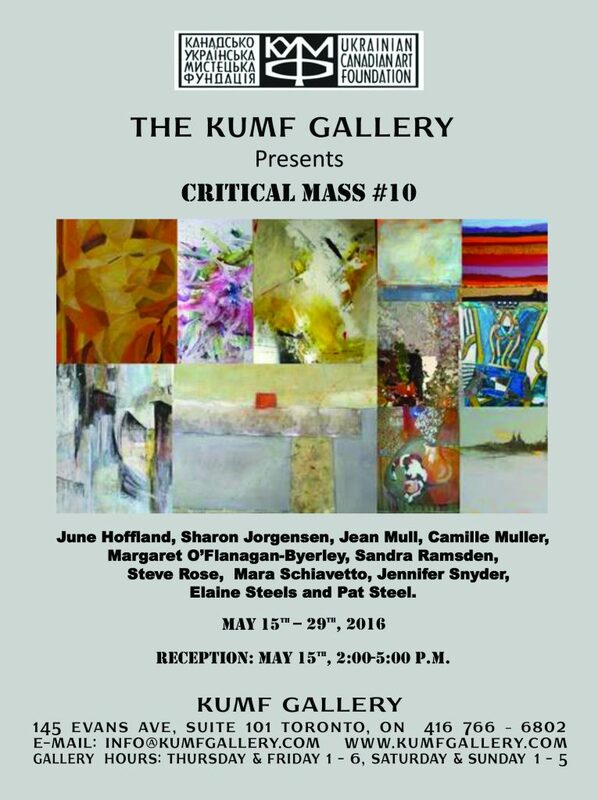 Several years ago we decided to form a group we called “Critical Mass” to show our work. We have had shows at the Milton Center for the Arts, at The Twist, at the Headwaters Arts’ Gallery in Alton Mill, at Montgomery’s Inn and two years ago, here at the Kumf.